WASHINGTON (AP) — Behold the awesome power of water. 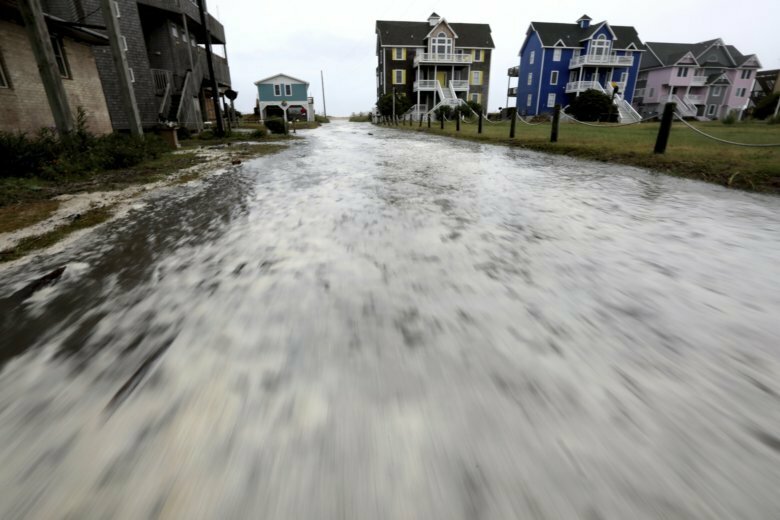 Already the ocean is swallowing beaches, roads and anything else in the way of Hurricane Florence’s monstrous storm surge. Florence’s storm surge will probably be 7 to 11 feet above ground in parts of North Carolina, according to the National Hurricane Center. Other areas can expect the surge to be taller than the average person — nearly 6 feet or higher.